The spring classics are considered the most exciting single day races on the cycling calendar. From the cobbles and bergs of Flanders, to the pave of northern France to the hills of the Ardennes, these races have come to define the image of the hard men -and women- of cycling. Each spring, and in the weeks leading up to April, there is a fervor, a hype that surrounds the imminent explosion of excitement that rattles across the stones and hammers up steep inclines as the peloton stretches from the north coast of Belgium to the battlefields of Bastogne. Regardless of the racing, and the winner, the main attraction –the races themselves- continue to paint their legacy through its roads, the weather and the demands of various parcours that are unarguably the hardest races of the year. And while the Tour of Flanders and Paris-Roubaix have become the poster boys of spring, there has always been one race that still spits blood while the others have become a media circus. That race is Liege-Bastogne-Liege, the hardest single day race of them all. 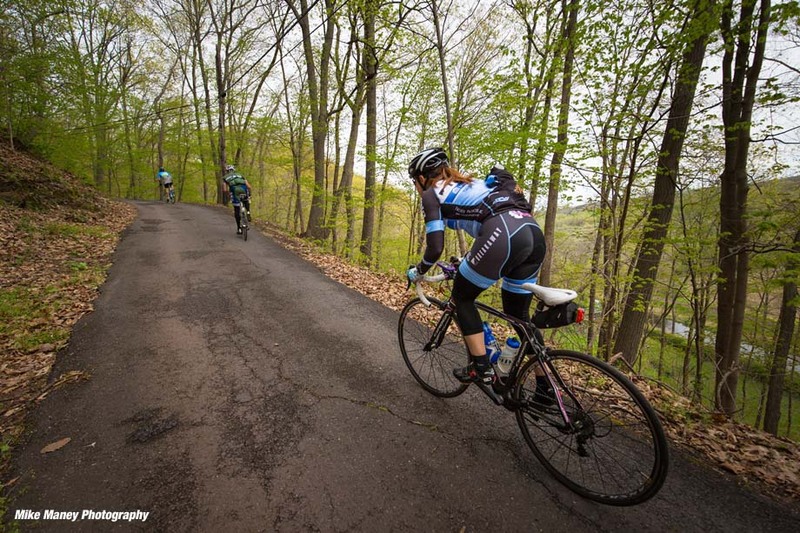 For amateur cyclists, gravel rides and mixed terrain rides have exploded in popularity over the last decade. Part of this is likely due to the introduction of the race Strade Bianche, based on the classic Gran Fondo l’Eroica that takes in the scenic and challenging terrain of Tuscany over its famed “white roads.” There has also been an industry wide push to justify the need for disc brakes on road bikes, and with the introduction of the gravel bike, cycling has its wish. But there is also a need, perhaps a sentiment or demand, for authenticity whether it’s a straight up steel bike or at the very least a bike with round tubes. 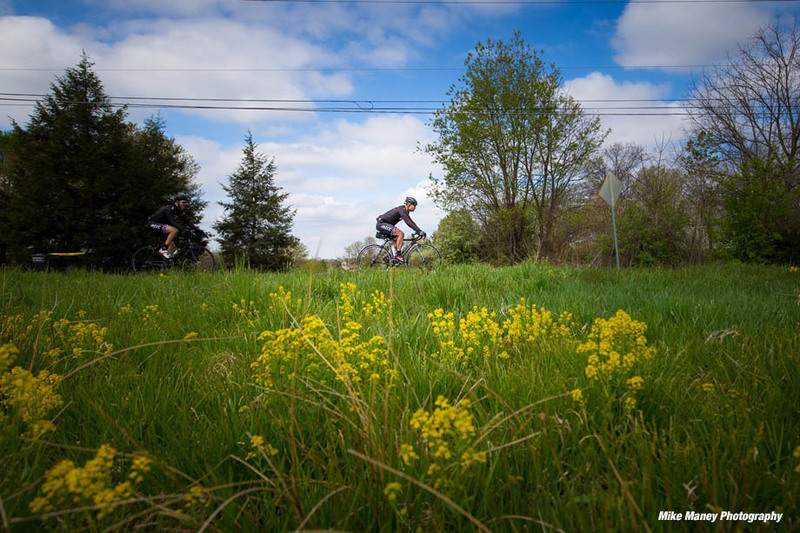 And the same I believe exists for amateur Gran Fondos, a view towards what once defined exactly the amateur experience outside of taking out a racing license- a tough ride over beautiful scenery that emulates a classic route or race. These events seem to be dissolving a bit, with most rides needing some type of hype or gimmick to sell it (think ex-pro; extreme terrain or an all-out mass start “Fondo” that is really a race) But the art of cycling cannot inherently be changed, and thanks to Brian Ignatin and his company Kermesse Sport, it won’t, at least along the scenic roads of the Delaware River valley. 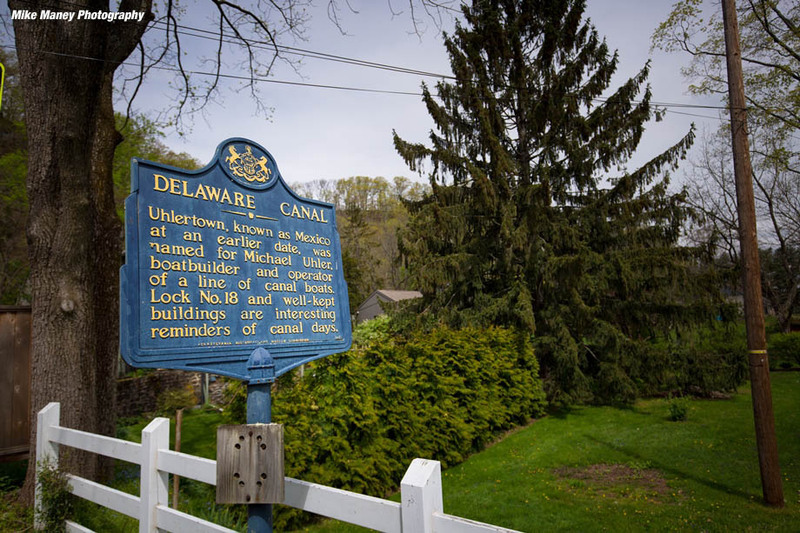 Bucks County, Pennsylvania and Hunterdon County, New Jersey straddle the Delaware River, and while the gap at points may only be 1,000 feet, culturally, it can seem miles apart. For New Jerseyans, there’s Bruce, the Devil(s), the Mets, Yankees, Rangers and Giants and a booming craft beer industry. The accent is from somewhere closer to the urban hustle of Newark and Hoboken and Jersey City and life in these rural parts appeals to its residents for exactly that- New York City isn’t close, and residents like it that way. Pennsylvania on the other hand has the Broad Street Bullies, the Phillies and Eagles and cheesesteaks in the City of Brotherly Love. Bucks County borders on the northern suburbs of Philadelphia and linguists have studied the accent for decades, continuing to debate its origins. But if there is one thing that bridges the cultural gaps across the Delaware’s waters, it’s cycling. 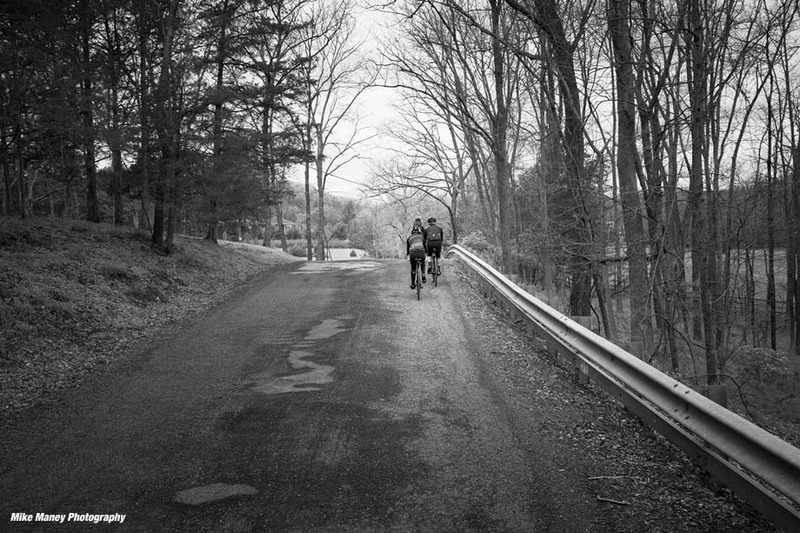 Road cycling in these two counties is considered some of the most scenic and challenging in the northeast, and with an area rich with farmland, steep river bank climbs and a bucolic rural landscape, its easy to be seduced, and surprised, by the riding. Known for their challenging rides over some of the area’s most scenic landscapes, Kermesse Sport’s ride that personifies this cultural unification is their homage to the great Belgian Ardennes classic, Liege-Bastogne-Liege. 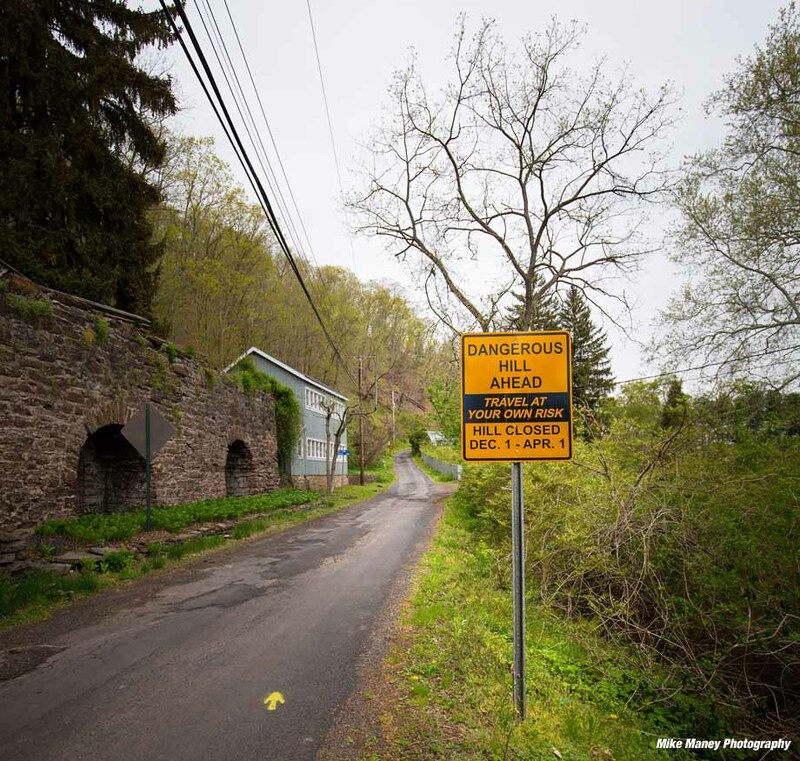 Rural Pennsylvania and New Jersey have a similar look to the Ardennes region of Belgium, particularly in Bucks & Hunterdon counties. These areas are heavily wooded, and feature steep climbs, that require power and stamina. Italian Moreno Argentin, who won Liege-Bastogne-Liege four times, always said the best riders for this race was what the Italians call fondisti, a rider with great mental and physical stamina. 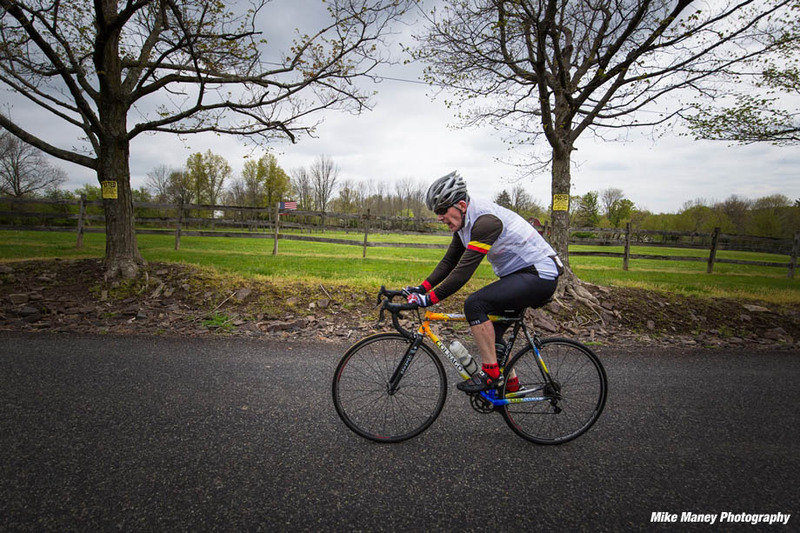 Based upon the success of Kermesse Sport’s other Spring Classic events, the Fools Classic and the Hell of Hunterdon, Ignatin felt they needed a ride that offered all of the challenges of these rides, but without the unpaved roads. Hence, the Fleche Buffoon was born, as a tribute to the hilly Ardennes Classics. The name was conceived by Whit Yost, a former Directeur Sportif of the Mercury Pro Team and contributor to Bicycling Magazine, as a play on the professional classic La Fleche Wallonne and its famous ascent of the Mur de Huy and the Fools Classic. Fleche is the French word for arrow. Wallonne refers to the French speaking portion of southern Belgium. The rooster logo that is used comes from the official flag of the Wallonia Region, where La Fleche Wallonne and Liege-Bastogne-Liege are held. Deciding on a name to express the true character of a ride or race or event can be difficult. Historically, many races have had multiple iterations of names before some sort of marketing capitalized on the strength of its developed image and helped determine a specific direction. While I appreciate the origin of the name, I don’t think Fleche Buffoon is ample enough to describe its strength and challenge. After riding it three different times last spring, and parts of it over the summer, it came to me why I like it so much- it’s a half version Liege-Bastogne-Liege. Pure. Honest. Hard. Classic. Its 73.5 miles with 6,000 vertical feet and includes fourteen climbs. Presenting a race’s main obstacles in succession is what defines a spring classic, and the mythical aura that surrounds these obstacles expands as the seasons pass, each year another rider adding to the allure of the côtes of the Ardennes, the bergs of Flanders, the cobbles of Roubaix. Like the other Monuments, Liège-Bastogne-Liège has its icon that symbolizes all that the race represents, capturing the emotion of the spectators and igniting the competitive spirit that calls our names on Sunday mornings in April. Milan-Sanremo has manipulated its finale, its lack of faith that after 285 kilometers, the famed Poggio is enough to draw out a select group of competitors. The heart and soul of what defines the Tour of Flanders -the Muur van Geraardsbergen- has returned. The energy that rises above the abandoned mines in northern France’s Trouée d’Arenberg smells of Paris-Roubaix Sunday, and il Giro di Lombardia will forever be linked to the tolling bells of the Madonna di Ghisallo chapel. For Liège-Bastogne-Liège, this centerpiece is the Côte de la Redoute, a stifling sequence of steps that rises steeply alongside the A26/E25 highway and whose lifeline is close to being choked closed by the gauntlet of fans that swarm the hill. 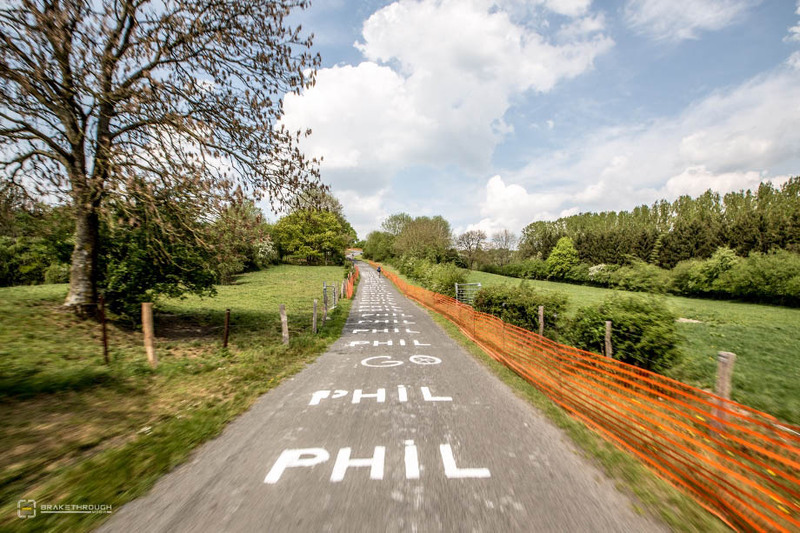 The climb is so definitive a part of Liège-Bastogne- Liège, police completely close off one lane of traffic on the highway exit for parking, Philippe Gilbert’s fan club has a massive tent for assembled for their race day party, and “Philippe” is scrawled in paint over 300 times on the road. The irony of it all is the intensely beautiful backdrop this is played out against. 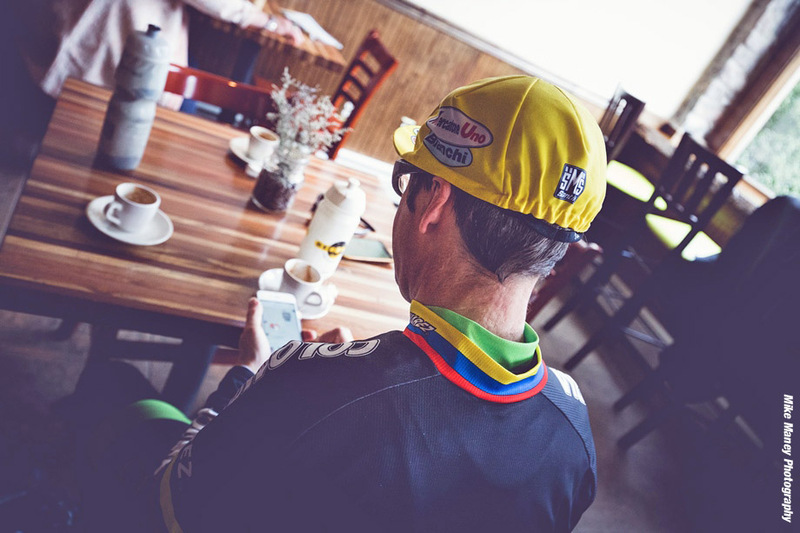 For Fleche Buffoon, the icons are surely Uhlerstown Hill Road and Adamic Hill, two of the areas toughest climbs. Both have grades reminiscent of the Mur de Huy in Fleche Wallonne and La Redoute in Liege-Bastogne-Liege. One of the great things about a classic is the legends that it creates. The stories that are told of heroics; the suffering; the deals; the descents; the attacks and the mental cracking that afflict so many riders. 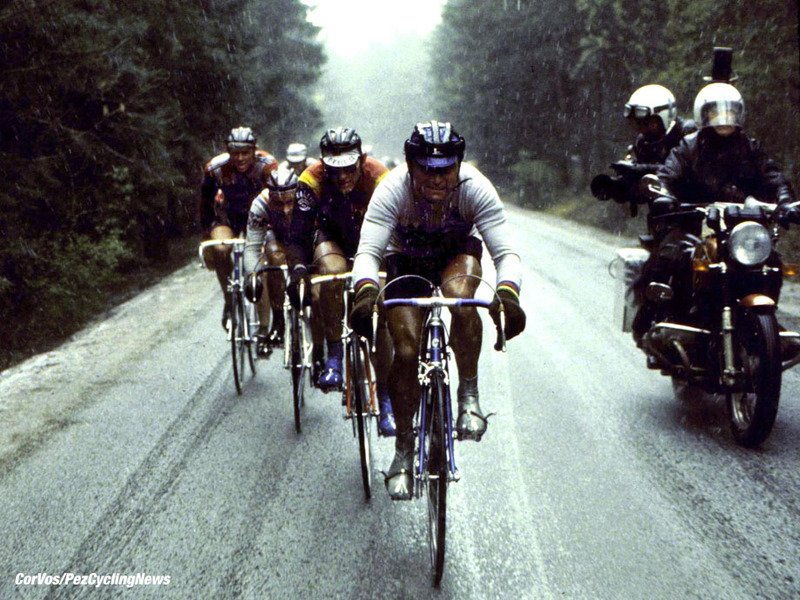 One of the most legendary is the story of Bernard Hinault and the 1980 edition of Liege-Bastogne-Liege. Snow blanketed the Ardennes on the morning of the race, and many riders retrieved their dossards and returned to their hotel, intent on not riding. By kilometer 70, 110 of the 174 starters had quit. Bernard Hinault, legendary rider that he was, hated racing in the cold and planned to quit at the feed zone in the town of Vielsalm. His Renault teammate Maurice Le Guilloux encouraged him to continue, and with 80 kilometers to go, on the Col de Haute-Levee, Hinault attacked. Mind numbing cold gripped the Badger-Le Blaireau as he was known- and he “didn’t look at anything. I saw nothing I thought only of myself.” He won by 9:24. To this day, he still suffers from numbness in his fingertips. Whatever the elements we are confronted with -by choice or not- in cycling, it is the mental fortitude to persevere that defines the sport of cycling and inspires us to greater challenges despite all rationale telling us otherwise. On paper, if I was to look at the course of Fleche Buffoon, I would probably laugh and say no way. 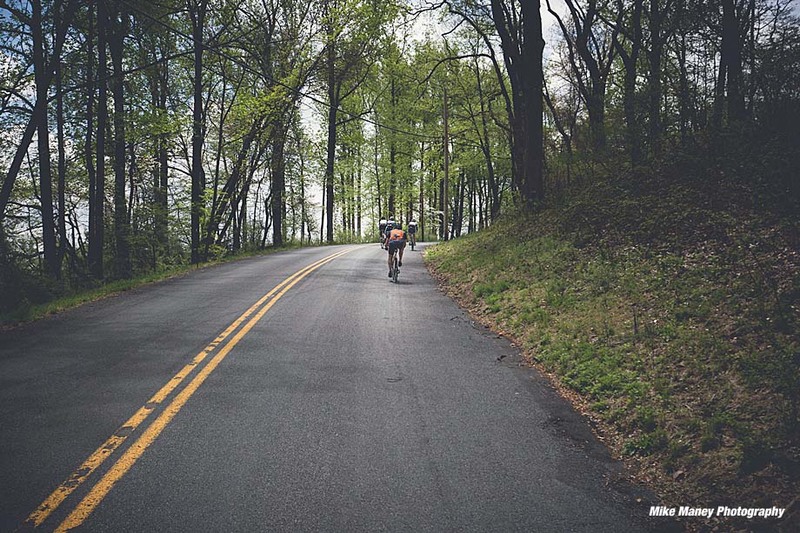 14 climbs ranging in length and difficulty from 4% to the brutal pitch of Uhlerstown road at 20+%, a road whose sign says proceed at your own risk. THAT is what defines a great ride and is at the center of a challenging ride. To me perhaps then this ride personifies the essence of Hinault, exemplifies the characteristics that defined the legendary rider and his seemingly unending ability to control not only a race, but his mind, to conquer whatever was in front of him. A man that knew no quit. It is this I believe a rider needs to conquer this ride. While Kermesse Sports most popular ride the Hell of Hunterdon may be the racers ride, Fleche Buffoon is the riders ride. While Flanders may be in your heart, and Roubaix is in your blood, but Liege-Bastogne-Liege, well, it -and anything representative of it- is in your legs and in your head. Remember, no man has ever won Liege-Bastogne-Liege on luck. And that to me is what defines the purity of a bike ride. 121 kilometers 1875 m represents 47.5% of LBL with 14 climbs. 253 kilometers 4000 m with 10 categorized climbs.